Artificial molecular switches and machines based on the large-amplitude translational and rotational motions expressed by suitably designed catenanes and rotaxanes. This contemporary and highly interdisciplinary field is summarized in a visually appealing, image-driven format, with more than 800 illustrations covering both fundamental and applied research. 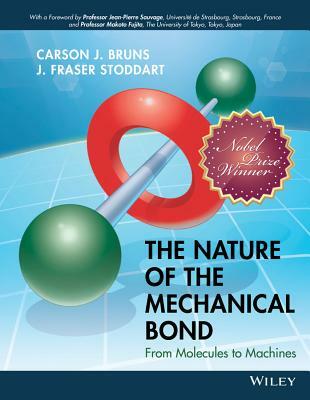 The Nature of the Mechanical Bond is a must-read for everyone, from students to experienced researchers, with an interest in chemistry's latest and most non-canonical bond. Carson J. Bruns is a Miller Research Fellow in the College of Chemistry at the University of California, Berkeley. He attended Luther College (2004-2008) where he earned degrees in chemistry, religion, and mathematics. He received a PhD in organic chemistry from Northwestern University (2008-2013), where he was a National Science Foundation (NSF) Graduate Research Fellow. Researching in the United States, Thailand, Korea, and Japan, he has co-authored more than 30 publications which have collectively been cited more than 1000 times. His research interests span all aspects of the mechanical bond, from fundamental science to applied chemical technologies. J. Fraser Stoddart is a Board of Trustees Professor of Chemistry at Northwestern University. By playing a major role in introducing the mechanical bond into molecules, he is one of the few contemporary chemists to have contributed to the opening up of an entirely new field of chemistry. He has pioneered the development of bistable mechanically interlocked molecules (MIMs) for use in molecular electronic devices and drug delivery vehicles. In 2016 he shared the Nobel Prize in Chemistry with Jean-Pierre Sauvage and Ben Feringa for the design and synthesis of molecular machines.